This is the optional windowed sidewall add-on that attaches to a tent. (You must rent the tent in addition to the sidewall!) Windowed walls add privacy to your event, but still allow your guests to see outside and enjoy some natural light. 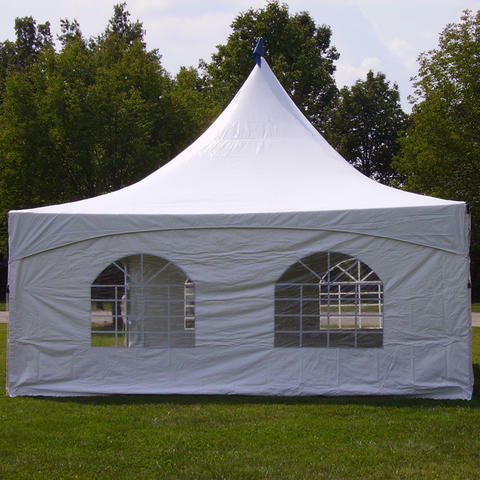 In cold months, sidewalls are great for maintaining heat inside the tent. In warmer months, we suggest only partially enclosing the tent if you choose to use sidewalls, to allow for more air flow and circulation. Feel free to give us a call if you have any questions about adding optional sidewalls.